As technology continues to disrupt and transform the construction industry, the sector will get its own trade show as Building Tech Live comes to the NEC on October 9 to 11, as part of the construction industry’s largest event, UK Construction Week (UKCW). Evolving from last year’s Smart Buildings show and following feedback from visitors and exhibitors, Building Tech Live will cover the very latest technological advancements in IoT (Internet of Things), lighting, automation, security, communication technology and more. As this industry continues to boom, AMA Research indicates sectors such as lighting was estimated to be worth £2.4 billion in 2017 thanks to the growing popularity of LED lighting, with further expansion forecast for the year ahead. Li-Fi technologies for wireless communications via LED lighting is particularly exciting, promising data transfer speeds 100 times faster than Wi-Fi. Nathan Garnett, UKCW event director, said, “Building Tech Live is at the heart of our innovation theme this year. What these architectural, communications and connectivity, smart lighting and security technologies offer for commercial and residential fit-outs is mind-blowing. Visitors will get practical experience of IoT in the Gooee IoT Arena. The arena will showcase Gooee’s award-winning IoT ecosystem with its partnered companies, and includes a number of keynote speakers and interactive sessions. The Building Tech Live Theatre, supported by Voltimum and ECA, will cover sessions on smart homes, cyber security, fire safety and prevention, and will showcase new examples of the sector’s use of augmented reality, virtual reality and artificial intelligence. Expert speakers will include Professor Prashant Pillai, professor of cyber security at the University of Wolverhampton; Steve Martin, director of technical at ECA; David Williams, head of strategic marketing at Schneider Electric, plus many more. 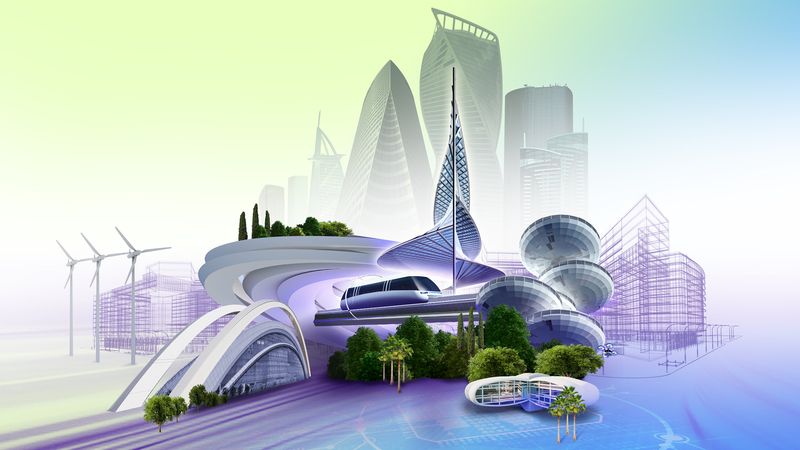 Linking in with UKCW’s ‘Future of Construction’ theme, the Innovation Trail will feature the latest thinking in products, systems and ideas for the building technology sector with exhibitors including Canon, GEWISS, Kore, My Smart Box, and Okappy. Other exhibitors include Aurora, MSC Software, RISCO and more. Free CPD sessions will cover topics such as BIM and cyber security, while major debates around national and international construction issues will take place on the UKCW stage. Speakers already confirmed include Phil Wilbraham, expansion programme director at Heathrow; Bridget Rosewell OBE, commissioner at the National Infrastructure Commission; Ben Derbyshire, RIBA president; and Ruth Davidson, National Housing Federation executive director. Echoing the industry’s widespread call for greater efforts to attract new talent, this year’s event also aims to support the industry’s leaders of the future, celebrating them through the ‘Role Models’ initiative. 37 inspiring men and women have recently been shortlisted for this campaign, and the overall Role Model of the Year will be announced on October 10. Other attractions for visitors include the Beer & Ale Festival with hot food and live entertainment, and a chance to celebrate at the second Voltimum Smart Solutions Awards, hosted by Steph McGovern, BBC Breakfast presenter and journalist. Last year was UKCW’s most successful yet, with more than 30,000 trade visitors. This year is set to be even bigger with a forecast of 35,000 visitors. 90% of visitors to the event say they are there to source new products and suppliers, 79% to network with suppliers and other visitors, and 76% to talk to product experts and exhibitors’ technical staff. If you want to share your latest product launch or service or just want a platform that gets you directly in front of your customers, there’s still a chance to grab an exhibitor spot. Register your interest via the Building Tech Live Exhibitor page. Free visitor tickets for the show are also available on the website. Tickets also allow access to the other UK Construction Week shows: Timber Expo, Civils Expo, Surface & Materials Show, Plant & Machinery Live, HVAC 2018, Energy 2018, Build Show, as well as Grand Designs Live on 10 and 11 October. Keep up to date with the latest information about exhibitors, product launches and speakers at Building Tech Live and on Twitter at @BuildTechLive or using the hashtag #BuildingTech2018.